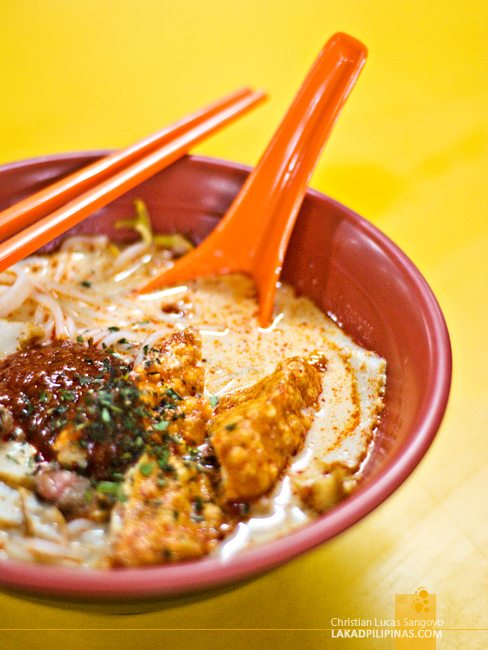 Eating in Singapore is a daunting task if you don’t have enough money in your pockets. Understand—you’re on the last leg of your two-month backpacking trip trying to make ends meet with the last wad of dollars in your wallet. And that last leg just so happens to be at one of the most expensive places on Earth. Just how and just where do you eat? The answer, food hawker centers. Indeed, during our four days running around the city, including a visit to the National Singapore Gallery, we were quite surprised at how relatively affordable our meals were. We usually eat at the city’s many hawker centers, it was still more expensive than say Malaysia or Thailand, but it was still within our meager budget. 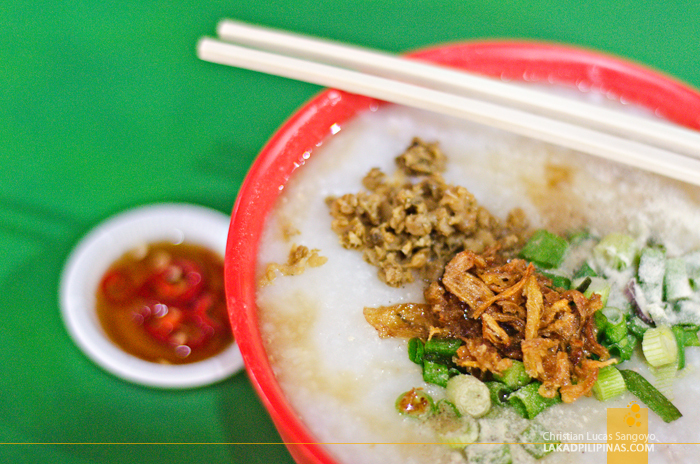 If you have deeper pockets and don’t want the hassle of looking for the best street food in the city, you can always book online for a food tour around Singapore. I haven’t seen Singapore’s hawker heydays where vendors actually peddle food right on the sidewalk. I’m pretty sure, from old pictures I’d seen, that it must’ve been as vibrant as the hawker scene in Bangkok. Right now, everything has been sanitized. There’s absolutely zero food hawkers on the sidewalk, all of them now neatly bundled up on so-called hawker centers. 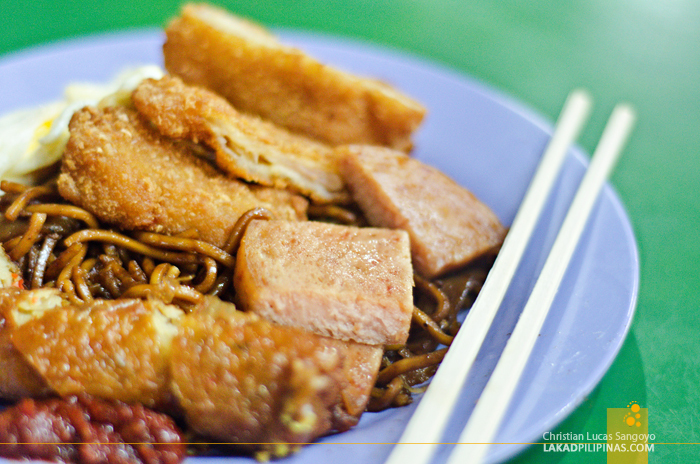 We tried four of these hawker centers, three of them within the vicinity of our lodging, the Beary Best! Hostel, right in the heart of Singapore’s Chinatown. Arriving in Singapore at midnight and waking up late the next day, our first food outing was not on our hostel but at the People’s Park Food Centre. It’s about five minutes by foot away from where we were staying and is actually located on a mall complex. We saw hundreds of stalls as we entered the open-aired food center. It was almost lunchtime and most of the tables were full and queues at the hawkers neatly lining the corridors were long. There were a few where lines were longer—and we knew that this was where we should be queuing up too—this just speaks of either good food or a very cheap price. But we were absolutely famished. We couldn’t bother with the center’s best Sichuan and roast meat stalls. 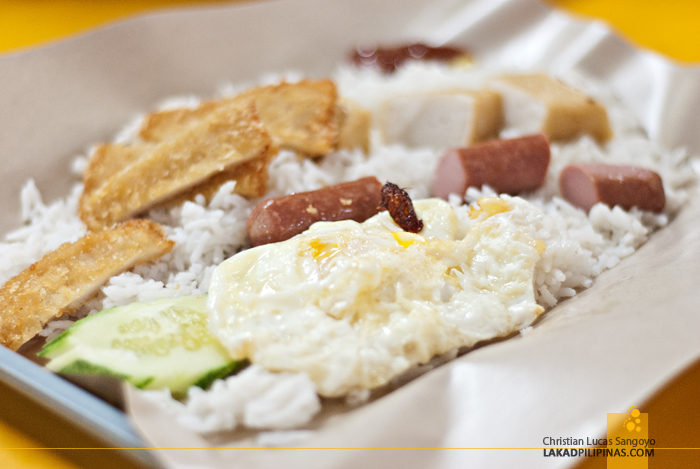 We looked for the shortest line, quickly took a peek at what the hawker was cooking and queued up. 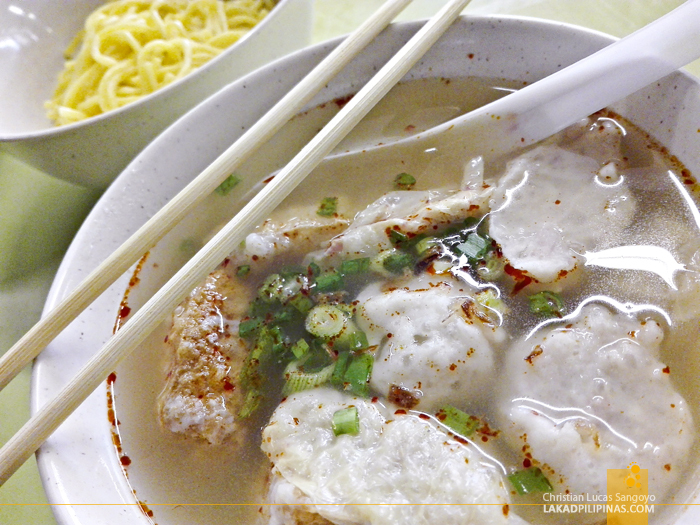 In five minutes’ time, we were sitting on a recently vacated table, enjoying a bowl of crisply fried yong tau fu, a Hakka cuisine made up of fried tofu filled with meat and accompanied by all sorts of dumplings. It was paired with stir fried Chinese rice vermicelli noodles—which looks suspiciously like the Philippine’s pancit bihon. 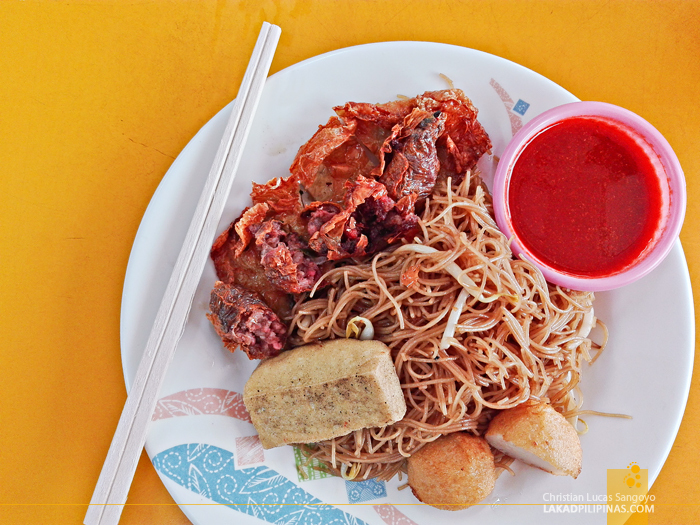 For SGD3.00 (USD2.20), it was a superb first meal in Singapore, however randomly picked it was. Lol. I noticed that once we’ve tried something good, we stick to it like a freshly chewed gum to a shoe. 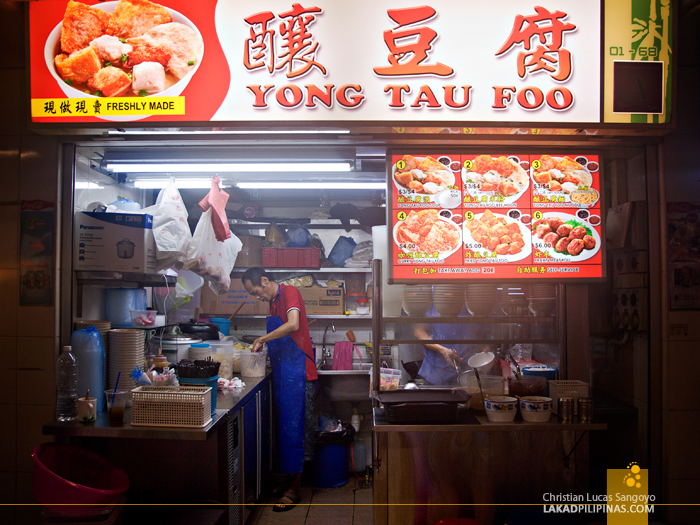 And so it was that on the hawker center right across our hostel—like a street-cross away—we again ate, you guessed it, yong tau fu. 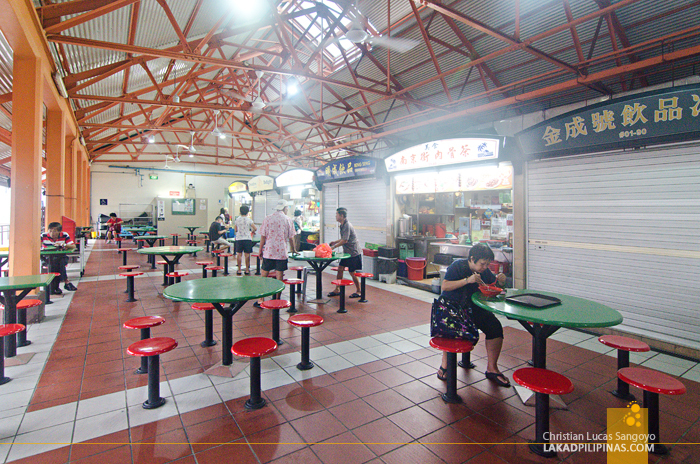 Hong Lim Food Center looks similar to People’s Park, with fixed tables neatly arranged around a line of hawker stalls. 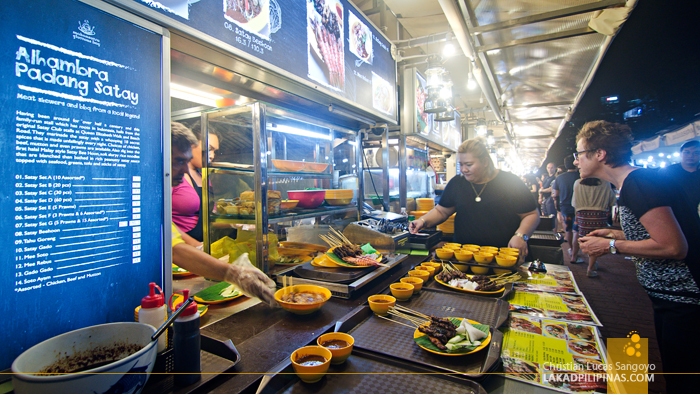 And we would soon find out that this is true for most, if not all hawker centers around Singapore! This is the first hawker center in Chinatown, with traditional pushcart vendors moving here from the nearby Hokien Street in 1978. While C ordered curry yong tau fu, I countered with fried yong tau fu plus a cup of steamed white rice. The former is priced at SGD4.00 (USD2.90), the latter clocks in at a hefty SGD5.50 (USD4.00). It was an expensive hawker dinner, but as delectable as our first meal. 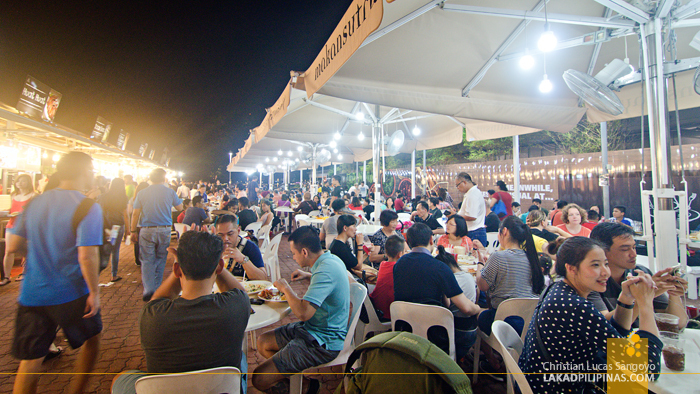 Right after our whole day tour around Singapore’s free attractions, we headed to the conveniently located Makansutra at Gluttons Bay. This is actually somewhat like a designer hawker center, with food ranging from all around Asia, including the Philippines! We entered the open-aired food center right exactly at dinnertime. And as expected, being right by the Marina Bay, it was supremely packed with tourists. 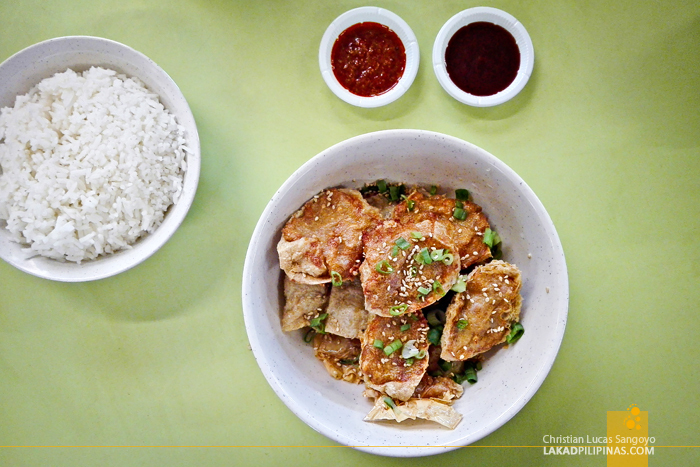 Taking a quick glance through the stalls—including our very own Gerry’s Grill—we decided on Alhambra Padang Satay. As its name suggests, they’re quite known for their satay, in fact they’re on the satay business for over forty years now. 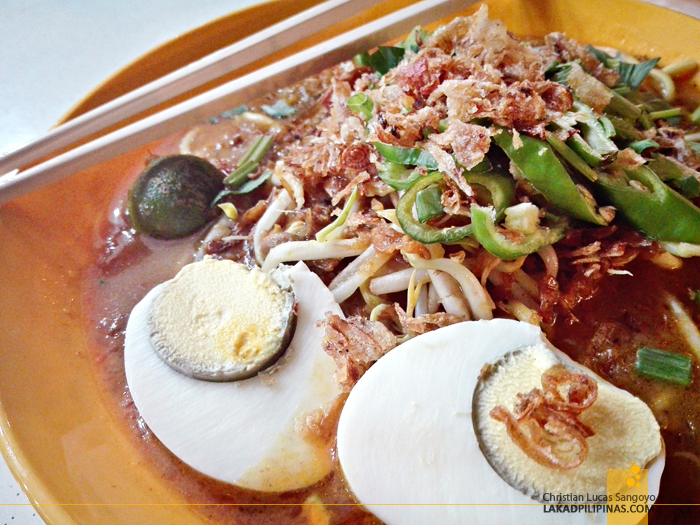 But another picture on their menu caught my eye, mee rebus (SGD5.00 / USD3.60). Directly translated, it simply means boiled noodles; it could not be farther from the truth. My dish was filled with yellow rice noodles mixed with brean sprouts, swimming in thick sweet and somewhat spicy curry-ish gravy. A hard-boiled egg stands on one side while garnishes of green chili peppers, celery and crushed fried garlic competed for space. The taste was as full of flavor as its looks. Amazing, amazing dish. Our last meal came on a drizzly morning at Chinatown. It was our last day in Singapore and before taking the bus and crossing the border to Malaysia where our flight to Manila awaited us; we tried one of the most famous hawker centers in the area. 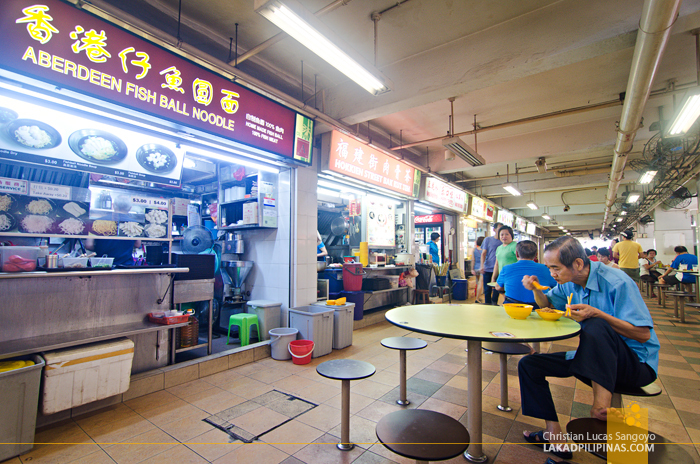 Maxwell Food Center started out as a wet market in the fifties before evolving into a hawker center thirty years later. From looks alone, you can’t tell it’s as legit as any Singaporean hawker center can be—well, since most of them seem to have been gentrified by now. We actually ate here twice. The first time, C went for the chicken porridge with egg (SGD3.20 / USD2.30) while I had, errr, yong tau foo with stir-fried egg noodles (SGD5.00 / USD3.60). 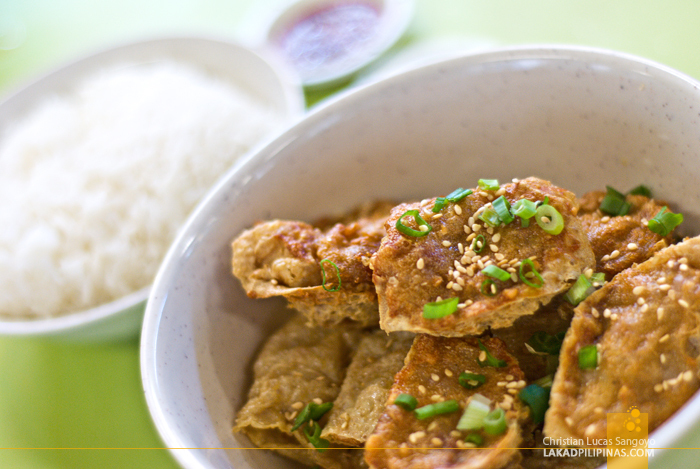 I’m telling you, you can never go wrong with yong tau fu! 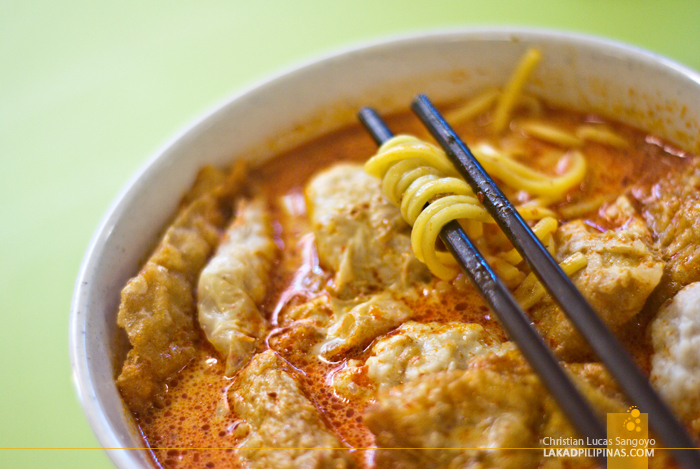 The second and last time, C found a stall selling curry laksa (SGD3.00 / USD2.20), which unfortunately, she didn’t dig that much because of the reddish sambal-like (fish?) paste which has quite the funky taste. Me, I was rarin’ for steamed white rice. Since it was still early and almost half of the stalls were still closed, I think I went around three times before finding one. It was a point-and-get kinda stall; I pointed at a fried thing I saw, and they plunked it on the styro plate with my rice (SGD2.50 / USD1.80). Our last meal was somewhat disappointing compared to all the superb ones we tried over the previous days. 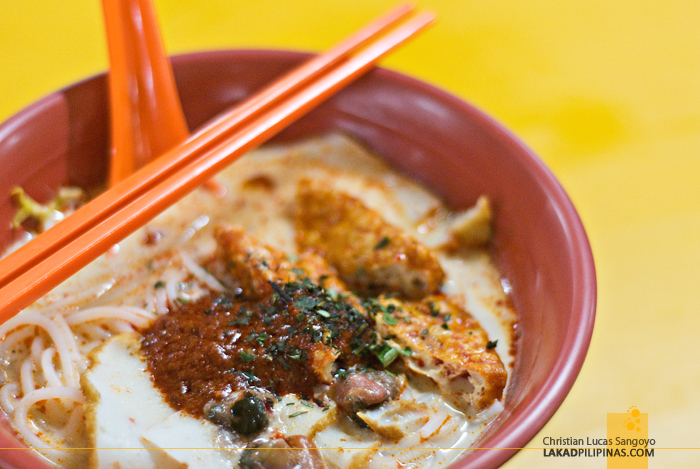 But still, we didn’t imagine we’d be enjoying Singapore’s street fare as much as we did.